We served this recipe on Memorial Day but you can make it on the 4th of July too. it was gone in two seconds. 2. Dip all cupcakes in icing. 3. 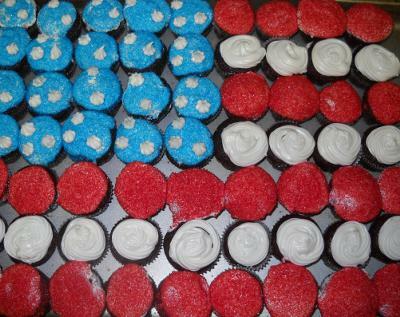 Dip and sprinkle all the cupcakes according to the American flag.